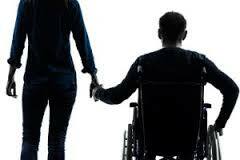 Harassment of a person with disabilities constitutes discrimination. Bullying includes behavior that a disabled person might deem offensive, threatening, humiliating, undermining the dignity or otherwise injurious, such as irritation, call you names, mugging, pranks, jokes and more. Even if this behavior is not intended to injure a person with disabilities, but the man found it depressing and stressful, it can give grounds for filing a claim for discrimination against the perpetrator. Under § 1, item 1 of the DR PADA. "Harassment" is any unwanted conduct on the grounds of Art. 4, para. 1, expressed physically, verbally or otherwise, which has the purpose or effect of violating the dignity of a person and creating a hostile, debasing, humiliating, offensive or threatening environment. The European Convention does not specifically prohibit harassment or incitement to discrimination, but if such cases occur, can be sought protection under other articles of the Convention. "Therefore bullying may fall within the scope of the right to respect for private and family life under Article 8 of the ECHR, or the right of Failing to Submit torture or inhuman or degrading treatment or punishment under Article 3 until incitement to discrimination may fall within the scope of other members, such as freedom of religion and association under Article 9 or 11, depending on the context. When these acts express a discriminatory motive, the ECtHR investigate alleged breaches of relevant Articles in conjunction with Article 14, which prohibits discrimination "(Handbook of Fundamental Rights Agency (FRA), p. 34). Dordzhevich case against Croatia involves harassment of a person deprived of legal capacity based on mental and physical problems. This person is bullied for more than two years by students from an elementary school. When students returned home after school groups and gathered without parental supervision and around a wooden bench in front of his balcony, they were shouting obscenities, called him with offensive names, wrote insulting messages on the sidewalks and often would spit on it. Children often rang the bell of the applicant to ask when it will come. The incidents also included acts of violence such as burning the hands of the applicant cigarettes, pushing to the wire fence and hitting a ball. In its judgment the ECtHR noted that the Law on Prevention of Discrimination, adopted in Croatia, explicitly prohibits discrimination on the grounds of health and disability, and provides a number of remedies, including recognition of discrimination, prohibition of discriminatory actions and damages. However, the applicant did not use the available means of protection from harassment under national law. As a result, the ECtHR found a violation of Article 3 (prohibition of degrading treatment) and rejected his complaint under Article 14 because they had not exhausted all domestic legal remedies. The Court of Justice recognizes harassment as discriminatory practice in its judgment in the case against Coleman Atridzh (C-303/06). In that case, a mother claimed that she was disadvantaged at work because of damage to his son. Her requests to the employer to allow it to late for work in certain cases and to give leave to the needs of her son were dismissed. It is threatened with dismissal and gets offensive comments about the state of his son. At the same time, other employees with children receive flexible hours upon request. ECJ accepted her colleagues of similar posts and with children as a comparative base and ruled that the applicant was discriminated against and harassed based on their child's disability.